Jinling Real Estate Development Co. 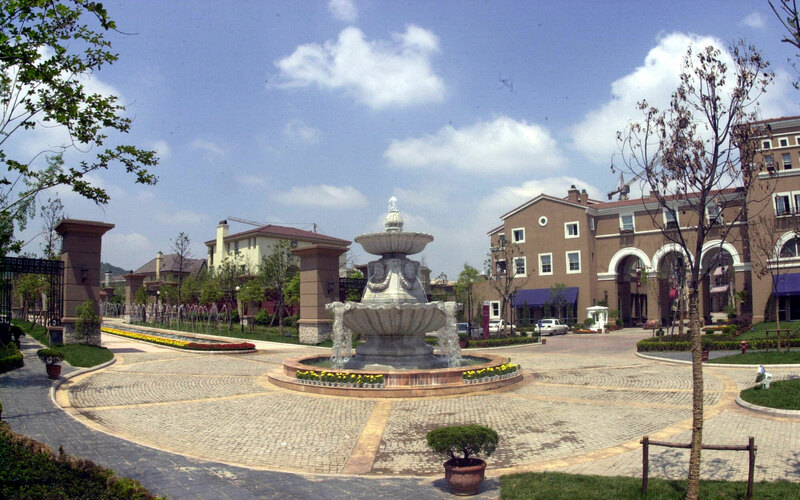 This 118-acre site just outside of Nanjing, China creates new housing opportunities for the growing population of China’s middle and upper class. This master planned community is comprised of a series of intimate neighborhoods. Architectural diversity provides a wide mix of building types ranging from low-density single family detached homes to medium-density cluster and high-density courtyard housing. A commercial/retail component at the project entry offers more than 5,000 square feet of retail space that links the community to the large regional fabric. Key to the overall design, the central open space incorporates a trail system, lakes and park-like settings that further encourage inwardly focused community interaction.